Auchan, the French grocery retailer, is partnering with parcel collection point firm Packcity to install click and collect lockers at around a dozen of its stores in France, according to an article in LSA. The rollout of the scheme follows an initial trial at two supermarkets and is an automated pick up system designed to complement Auchan’s existing ‘parcel collection’ scheme Auchan Point Retrait Libre Service. Reportedly, the lockers are typically organised into 7 or 8 columns and allow customers to pick up their shopping in 30 seconds using a unique, single-use code. 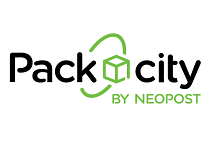 Commenting on the move, Packcity president François Castano said: “The success of the Packcity scheme in Auchan supermarkets underlines our ability to meet our clients’ operational and logistical needs, however complex the configuration may be”.